The Los Gatos real estate market varies by zip code, school district, neighborhood and price point. Today we’ll view it by zip code (95030, 95032 and 95033 – the latter is the Los Gatos Mountains area and is not part of the “town” but has a Los Gatos mailing address and is generally considered Los Gatos if not properly or officially part of the town). the median list price of single family homes in these 3 zip codes in Los Gatos plus the city of Monte Sereno, the total inventory of homes for sale in Los Gatos by zip code, homes absorbed, average list price, price per square foot, median lot size, average age, nad more. To see what’s happening with the Los Gatos real estate market via the “solds” please visit my real estate report and view the latest market date & trends for houses in Los Gatos or houses in the Los Gatos mountain communities as well as the condo and townhouse market in the town of Los Gatos. Additionally, you can check what has sold anywhere in Los Gatos or Santa Clara County generally as long as it was on the multiple listing service! It’s early October – many years, we experience an influx of inventory in Los Gatos homes for sale at about this time (between Labor Day and Halloween). Not this year, though. It seems that the uptick in available homes for sale mostly happens in years where it’s a seller’s market. The Los Gatos & Monte Sereno real estate market, especially in the 95030 zip code, where prices continue to fall, has not been a seller’s market in most price ranges recently. It appears that many homeowners are holding onto their homes for now – probably until the market recovers. My buyers are noticing the lack of inventory too. The charts below were created by me with Altos Research, to which I have a subscription and the right to publish the charts. Altos uses LIST PRICES in its data fyi. Combining quartiles is a little easier (a quartile is 25% of the market so of course the four tiers will always be about the name in number as each other). In most of the 95032 price points, the market’s been improving. It’s still a buyer’s market, but until August or September, it was improving steadily. How’s the market? Really needs to be, “how’s your specific market?” The lowest price points in 95030 are selling well – which has been the case for months. The most expensive homes in 95030 are lagging the most – which has also been the trend. The less expensive homes in 95032 are faring better overall. If we were to break 95032 down by school district (as I did in the post referenced above), we’d find that the homes selling the best are the ones with Los Gatos Schools (not Moreland or Union). For information on your particular corner of the Los Gatos real estate market or the Monte Sereno real estate market, please contact me. 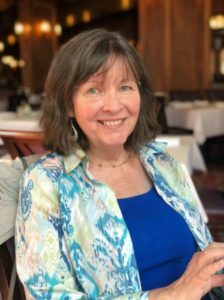 I’d be happy to chat with you – no obligation. Rising Prices in Los Gatos? Are home prices rising in Los Gatos? It does appear that way. What is reported, though, may not be what it seems. Below are the stats for the closed sales in July – they are still off, year over year, considerably, but they are up from the month before. Clearly, while single family home sold prices are higher than a month ago, this is not the case for condos and townhomes (which have been “beat up” in this market, all over San Jose and also countywide). This is our first clue that “the Los Gatos Market” is again not one unified block, with everyone benefitting equally. Rather, there are micro-markets. Part of the market is advancing strongly – the lower priced homes in the Los Gatos School District – and those homes are selling and appreciating briskly. Other parts of the market, such as the townhouse and condominium market, the luxury market, and the homes not in the Los Gatos school area, are not faring as well. In fact, most homes in Los Gatos are not selling at all, and overall, it is still very much a buyer’s market, but it IS improving. Below, please see a chart displaying the “market barometer” for Los Gatos. N the gap between the number of properties on the market (168) and those sold (28) – divide the former by the latter to get the “months of inventory”, which is 6 months right now. According to the National Association of Realtors, 6 months is a “balanced market” or a “neutral market”. How can this be? How is it possible for it to be a neutral market (or in some segments of Los Gatos, a buyer’s market) when prices are rising (and homebuyers are experiencing multiple offers in places)? It’s not happening in every segment of the Los Gatos market, that’s how. The homes that are selling are doing well. But many – most – remain unsold. As you can see, inventory is rising among homes in the 95030 part of Los Gatos, but falling among 95032 (often more affordable). Unfortunately, I cannot break out the school district differential with this subscription, but anecdotal information indicates that homes “in the schools” are the ones selling with multiple offers if they are priced low (close to or under $1 million). So I went to the MLS and checked a few numbers myself. Right now in 95030 and 95032, there are 47 single family homes for sale in the Campbell Union High School District (meaning Leigh High & Westmont High), and 4 closed sales of the same in the last month. That is an 11.75 month supply of inventory. Right now in 95030 and 95032 there are 159 single family homes for sale in the Los Gatos-Saratoga High School District, with 28 closed sales in the last month, which is a 5.67 month supply of inventory. , the school district is the driving force. Prices are rising more in the 95032 part of Los Gatos than in the less-affordable 95030 part of town. Knowing what we do about the months of inventory, what we see are that the most affordable homes with the schools are the “hot” segment of the market. What homes are these? The ones where a buyer can get into a single family home for close to a million dollars or less (up to about 1.3 mil max) and enjoy the Los Gatos Schools. Even so, houses must be “turnkey” and priced aggressively. Homes outside of this parameter – which is most of the Los Gatos real estate market – are struggling. Please contact me for help in buying or selling a home anywhere in Los Gatos. The real estate market in the high-end communities of Los Gatos, Monte Sereno, and Saratoga has not been as hard-hit on pricing as in the entry level and more affordable areas like Blossom Valley and Cambrian Park, but not nearly as many homes are selling in these areas for that reason. Areas with huge (30-40%) price drops are seeing first time home buyers and investors swoop down, some paying “all cash” to get in on the fire sale pricing. That is just not happening in the tonier neighborhoods of Silicon Valley. The west valley foothill communities aren’t at these kinds of price drops, but if you’re a home seller, you certainly aren’t feeling like the real estate market is doing you any favors. Prices are down in varying degrees, but overall it is a “rollback” in sales prices of several years and the discount is perhaps 20-30% from the peak for most homes (worse for the luxury home market). The charts below are from Altos Research (with whom I have a subscription) and prices are LIST prices, not sales prices. The black line represents Los Gatos, green is Saratoga, and orange Monte Sereno, and the timeframe for all charts below is the last 12 months. Properties are single family homes only (houses, not condos or townhomes). Monte Sereno tends to have the most expensive homes generally of the three communities, and this small city has been hit the worst with price drops because higher priced homes generally have had the biggest damage done to pricing, and more affordable homes have been less hurt by the price cuts. 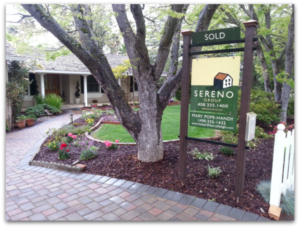 Again, Monte Sereno has the biggest struggle with the longest days on the market. Saratoga is experiencing a better market. This does not surprise me because I have some homebuyers for that city and we are having a hard time finding much that’s within their budget and meets their needs. In Los Gatos, where I also have buyers (different from Saratoga), we are finding a lot of homes are still priced too high for the market, so the buyers continue to wait. The relisted homes chart is a reflection of how many sellers were unsuccessful the first time around, but the owners really do want or need to sell, so they get the house back on the market. Sometimes it’s with a new coat of paint and far better staging, sometimes a much better price, sometimes a new agent and brokerage – or maybe all three. Inventory levels are climbing in all three of these expensive Santa Clara County areas. Buyers are having a hard time in most cases because if they’re moving up, it’s difficult to sell the home they already own due to negative equity and it’s also very difficult to get a loan for high end real estate. If sellers can offer financing, that could be very helpful to a lot of buyers (get professional assistance from your Realtor, CPA and attorney before attempting this, though). Most often, when a home doesn’t sell, it’s the pricing that is incorrect for the market, though condition (and staging) can have a big impact too. While a few buyers may be willing to pay “top dollar” for a home in average or worse condition, the majority of home buyers will not. Pricing & condition need to be aimed at the bulk of likely purchasers of the property, not the unlikely, rare homebuyer. In this market, when most homes are not selling in Los Gatos, Monte Sereno and Saratoga, that means staging and pricing aggressively. If there’s a “better deal” than your home, that’s the one the buyer will choose. In this market, the lowest price and best condition “wins” with a sale. While the majority of homes are “sitting” and not selling, the best properties are actually selling quite fast. So if something comes on the market that interests you, don’t wait. It may not be there on the weekend for the scheduled open house! Today’s post is general in nature for each of the towns discussed. The market will vary from one price point to the next, one school district to the next etc. Please contact me for assistance with your own particular situation. Some homes have been on the market and sellers won’t reduce the listing price but may entertain an offer significantly lower that the list price. So have your agent inquire or just “write it up” if you like a home. To the left is a photo I took a few weeks back from the far edge of Los Gatos – up on Harwood Road (where you aren’t allowed to park your car so this shot was taken from the window of my automobile). 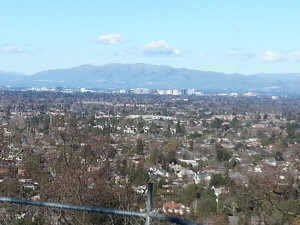 That’s downtown San Jose in the distance. Behind me are the Santa Cruz Mountains, aka the Coastal Range. 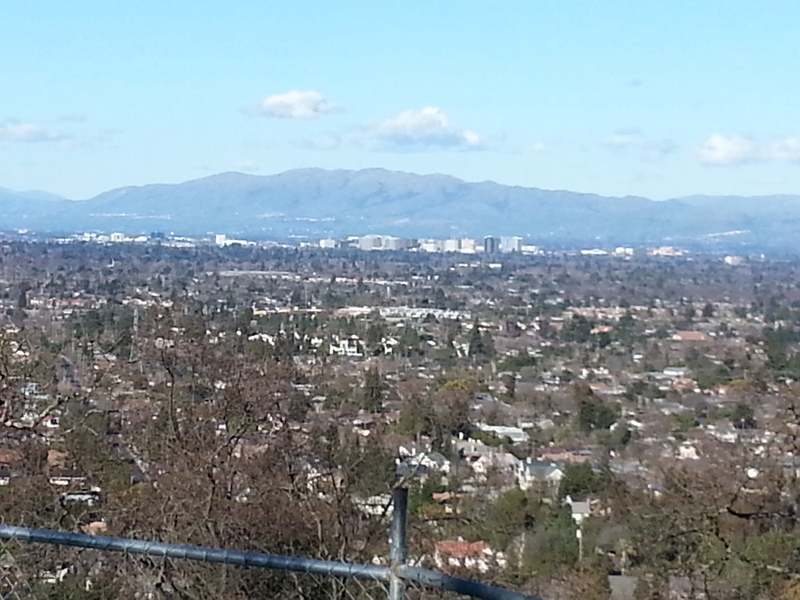 Across from me, beyond downtown San Jose, you see the eastern foothills. Beyond them, at some distance, is the Central Valley. This valley, the Santa Clara Valley, was once known as “The Valley of the Heart’s Delight”. Los Gatos lies at the base of the Santa Cruz Mountains and is a town you’d need to pass through to get to Santa Cruz and the beach. It s a vibrant part of life in SIlicon Valley, though it has only a little industry (Netflix being the biggest Los Gatos employer and tax generator). Most homes don’t have a great view like this, but many do have views of the hills – and those are lovely too. How’s the Los Gatos real estate market? So how’s the market in this very scenic corner of the valley? Well, it depends on your price point. For Los Gatos, the most affordable (i.e., really middle class) housing is going fast. Inventory is low. In fact, in January there were 100 homes for sale (not a lot) and as of this moment, there are just 89. We have 36 homes “pending”. Most of these are not at the high end of the spectrum. Prices in our fair town (not a city, but a town – just to be clear) range from a low of $799,000 to over $15 million for single family homes. By and large, the homes under $1.5 million are flying off the market. But there just aren’t that many buyers for homes over $10 million. Historical information for recent years is on the following page, which you can reach at the top of the Homes Info page. So how’s the market? If you are the owner of a high end home and you need to sell, you will say it’s awful. If you own a nicely updated, well priced middle class home, you would say it’s a market that is great for sellers and a little rough on buyers. If your home is not in great shape or is not priced in the bottom third of its competition, you might be convinced it’s a terribly strong buyer’s market. Truth is, it is close to balanced for most homes. It can be a win-win market, but everyone has to be realistic and be prepared to do a little work. But that would be true for most worthwhile things in life: they tend to need a dose of realism and some effort.